I have my quotation – there are many things I do not require and some that are omitted! We really do like our customers to use their quotation as a “shopping list” events are generally changing constantly and everything remains fluid usually until a month before the event. Do come back to us if your quotation needs amending, and we can of course change the details accordingly. Help! I’m new to marquees – how do I obtain a comprehensive quotation? 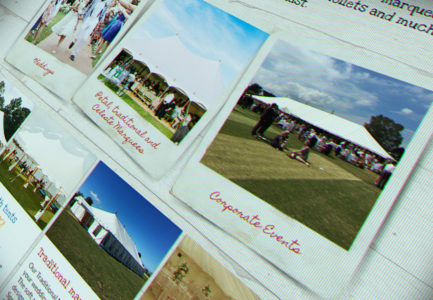 Many people have never had the need to enquire about marquee hire, and it may seem like a daunting prospect. Upon initial enquiry, we would send you a full brochure and price list, that gives a good visual idea of what we can achieve, and exactly what is available to enhance your event. The price list gives a good indication of costings, however it is difficult to ascertain an exact figure, with so many variables. For that reason, we generally advise that, if you like what you see in the brochure, we carry out a site visit in order to create a bespoke, no obligation, quotation. This also enables an experienced member of our team to examine your site, and decide exactly which structure would be most suitable. Our quotations are based on the recommendation of between 18sq ft and 20sq ft per person for an average seated function. This allows for enough space for extra areas such as stage, dance floor, entrance etc. Caterers need additional space, we therefore normally provide a separate catering tent to suit their requirements. 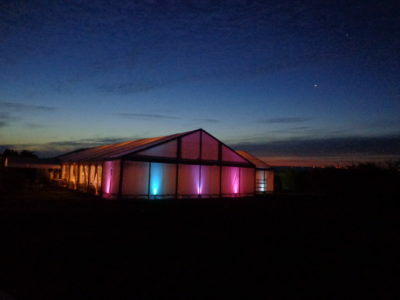 We are able to produce a computer-aided-design plan for you to see exactly how your marquee layout will be. Please be aware however that this layout is by no means set in stone, and may well change considerably before your actual event. My quotation looks great – now what? Ok, so we’re nearly there…how can we secure our booking, especially if it is a busy summer weekend? Well all we require is written confirmation from you, along with our Terms & Conditions duly signed, and a 30% deposit of the total hire of your equipment. Do not worry about any minor changes that may occur after you’ve paid your deposit, we simply deduct the amount paid from the final invoice. If you are planning a function that has access to domestic power supply, you should be fine, obviously it is advantageous to check with any band/dj and caterers of their exact requirements. If there is any doubt over your power supply, we can, at an additional cost to you, get our experienced electricians to provide you an adequate power supply via a distribution board. If you do not have access to power, we would recommend that you use a Super Silent Generator and if this is the case we can provide one in our quotation. My function is a few months away do I need to do anything further? Obviously function numbers are important to us, so the sooner we are aware of your final numbers the better. From time to time we need to use sub-contractors, so obviously as much information as early as possible really ensures a smooth event. If this means a secondary site visit, we would be happy to come and review your function details. When will my marquee be erected and dismantled? Generally we will erect your function 1 to 2 days prior to your function to allow you time to do any personal touches that you may wish to add. As we all know, with the great British weather, we cannot always be exactly accurate on the time or day we will come to you, but rest assured as soon as we are aware of any delays in proceedings we will contact you accordingly. We work on a 2 week running rota, and as soon as this is drawn up, we contact our customers to give them a clearer idea of when we will be coming in to set everything up. My marquee is up…now what? 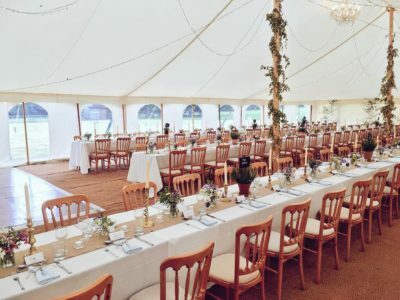 We will erect your marquee, install lining, flooring etc , however we leave any ancillary equipment you may have hired, tables, chairs, linen etc inside your marquee for either your bridal party, caterer, ball committee, or party planner to erect and arrange to your specifications. How do I settle my final invoice? We will invoice your final balance 14 days prior to your event so that funds are cleared before your function. We also usually ask if you have any good photographs of your function, it is always nice to put them in our portfolio, and obviously upload them to our website to show prospective clients exactly what can be achieved, and indeed how fantastic your important occasion was!